Bedale is a thriving private members club, which has been in operation for over 110 years. We have a playing membership of approximately 370 members plus an additional 40 or so social members. 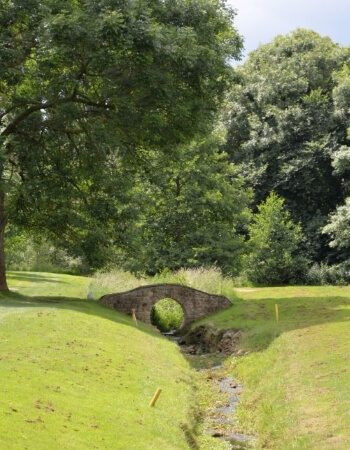 Our course is located in a beautiful mature parkland setting, with many natural features and hazards. It is a challenging course but one which is suitable for all levels of golfer. We run a full calendar of golfing events, as you would expect from a members club, and these include club competitions, internal matches, matches against other clubs, and away days. Our off-course facilities are also excellent. The comfortable and friendly clubhouse provides ample changing room accommodation and an extensive bar and catering service. The Pro’s Shop, run by PGA qualified Professional Richard Wood, is well stocked and a coaching and equipment repair service is readily available. The club has an active social scene with regular events being held in the clubhouse. For example quizzes, barbecues, and more formal events such as the annual dinner dance, which are always well supported and offer a fine evening’s entertainment. As you can see, Bedale Golf Club offers everything you need from a golfing facility. We hope we will be able to welcome you to Bedale Golf Club in the not too distant future.